​When was the last time we checked your pet’s teeth and mouth? Not sure or can’t remember? Left untreated, dental disease isn’t just bad for your pet’s teeth; it can actually damage internal organs, including the heart, liver and kidneys. That’s why regular dental exams are so important. Routine dental cleanings can detect hidden health problems and improve your pet’s overall health. 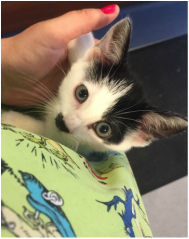 "We are thrilled with the wonderful kindness, expert care, attention and advice both Cuddles and we received from the entire staff at ABHCC. Only wish we had found you years ago. Telling everyone we know..."
For over two decades, the Animal & Bird Health Care Center has been the place to bring your animals when they are more than pets; they are family. Our Professional, courteous staff seeks to provide the best medicine and surgery for your dogs, cats, birds, small mammals and reptiles. 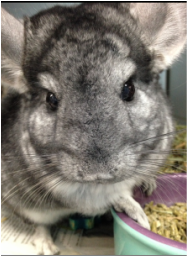 Conveniently located near the NJ Turnpike and I-295, the Animal & Bird Health Care Center offers one of the most established referral centers in the Delaware Valley for your exotic pet. Our goal is to exceed all of our clients' expectations when it comes to veterinary medical care and client services. Proper behavior, nutrition, handling and more will keep your bird healthy. Our staff includes specially trained doctors and support staff waiting to assist you. Each of the small mammal species we work with have unique requirements that our team members are waiting to help you with. From nutrition to caging, the right instruction can make for a more pleasurable bond. A great variety of reptiles are kept as pets. Some species are meat eaters, some eat plants. Lighting and temperature ranges are very diverse. The correct husbandry is essential to their survival.